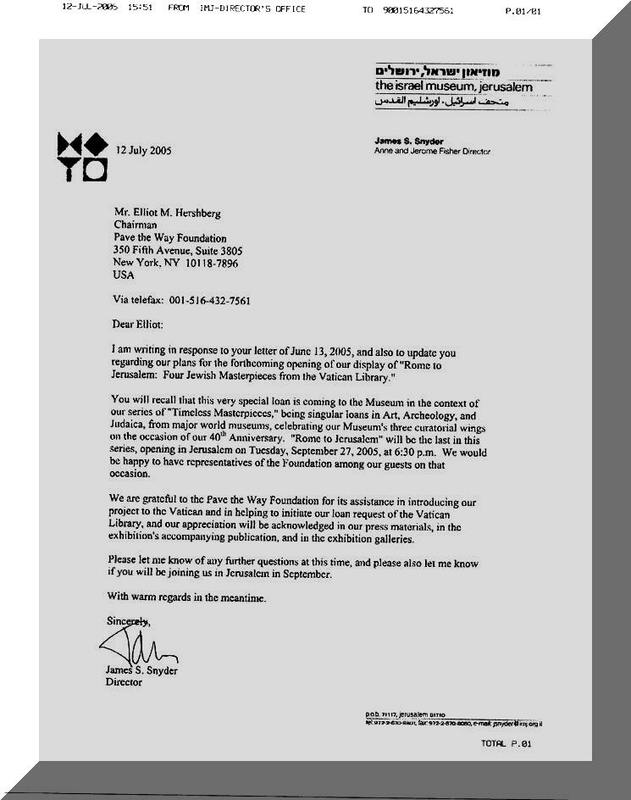 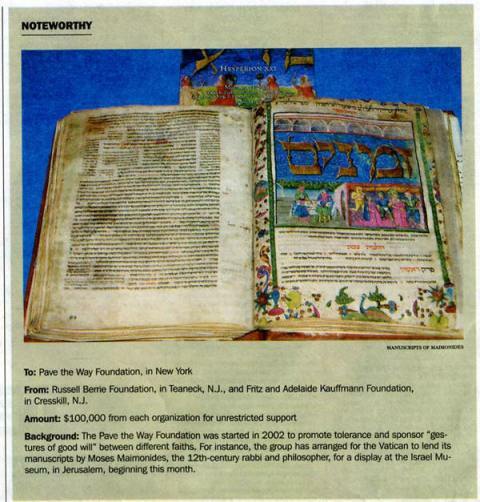 Pave the Way Foundation is pleased to have been instrumental in initiating the historic first exhibit ever of Hebrew manuscripts from the Vatican Library to the State of Israel. 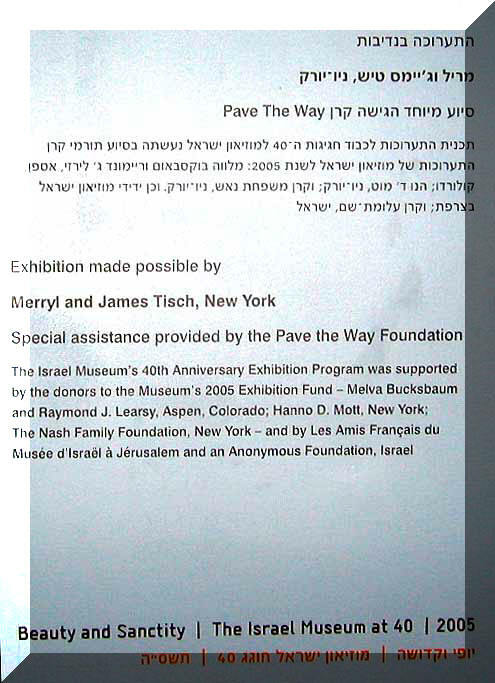 On September 27, 2005, the Israel Museum celebrated the opening of "Rome to Jerusalem" exhibit of Maimonides Mishneh Torah, Jacob ben Asher's Arba'ah Turim, Pentateuch (missing until Leviticus XIII:53): Five Scrolls Psalms Haftarot Rome written in1293 and Bible from Rome written in 1285/86. 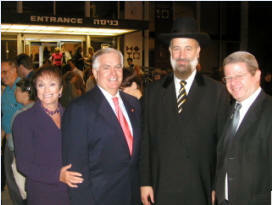 Gary and Meredith Krupp with Chief Rabbi of Israel, Yona Metzger and his Chief of Staff Oded Weiner at the opening of the Vatican Exhibit. 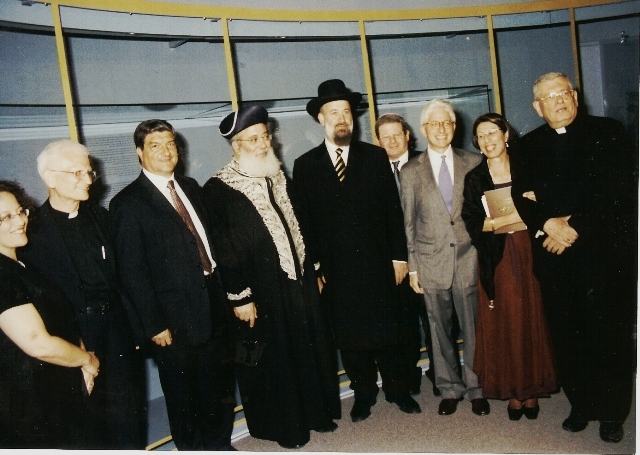 Short video: Welcoming ceremony of James Snyder Director of the Israel Museum and Archbishop Pietro Sambi, former Vatican Ambassador to Israel.